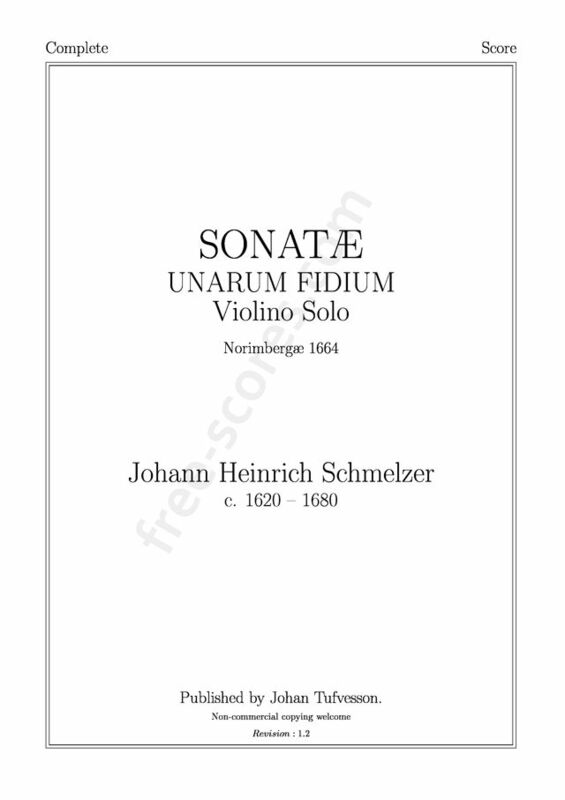 Sonatæ Unarum Fidium by Johann Heinrich Schmelzer consist of 6 sonatas for violin and basso continuo. It was printed in Nürnberg in 1664. The sources I have used are facsimiles of a copy preserved at Hofbibliothek Wien. Violin pieces, but as well playable on clarinet. 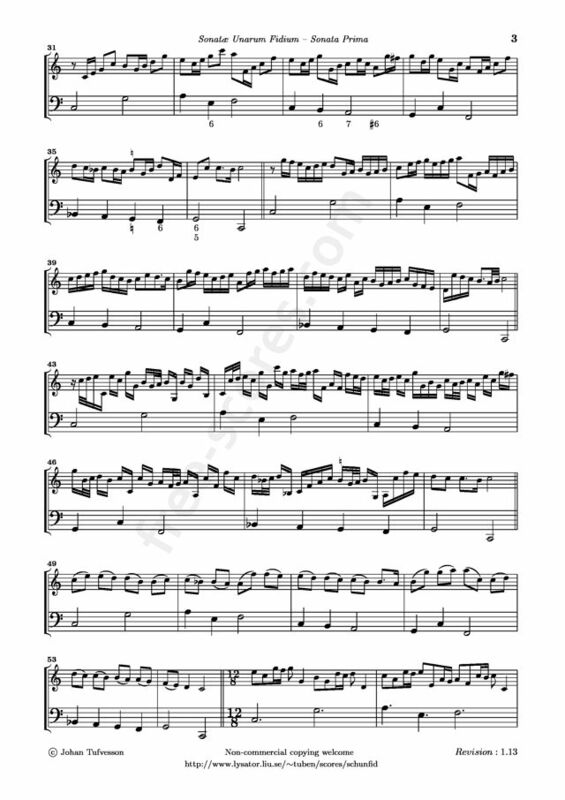 Have not studied or played the accompanying basso continuo, but will perhaps if a performance should be actual. 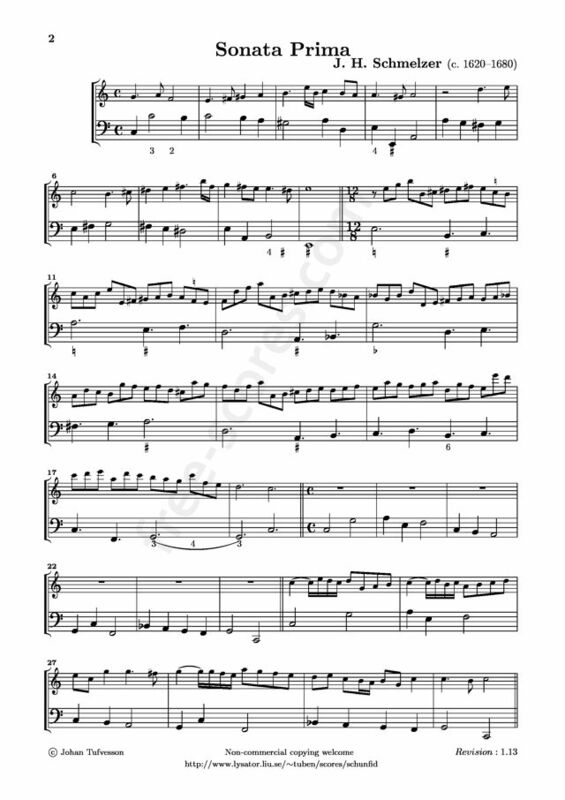 Then probably to be rewritten for piano. I like the Sonata Tertia and parts of the Quinta best. Thank you for having made these pieces available! Violin rosins department store on free-scores.com !